India is the world’s largest two-wheeler market. However, most of the buyers in the segment concentrate on fuel economy that has created an abundance of high-mileage bikes in the market. However, there are a few bikes which can shot up your adrenaline and keep your racing spirit happy. 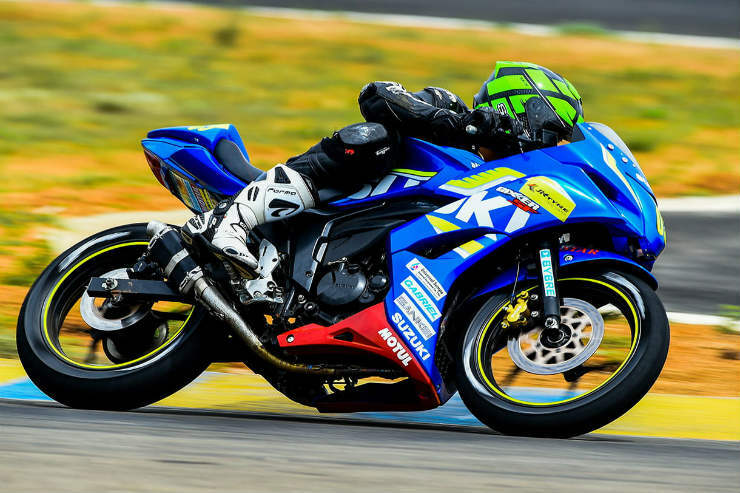 Here are the most affordable bikes for racing enthusiasts in India. The YZF-R15 is the smallest capacity bike on this list yet it is extremely capable. Launched as a performance motorcycle, the R15 showed the Indian market how performance can be squeezed out of small capacity engines. The 150cc engine performed so well that higher capacity motorcycles remained in the rearview mirrors of R15. The liquid-cooled engine produces 16.8 Bhp – 15 Nm. The R15 is known for its extremely balanced handling, thanks to its Deltabox frame. It was also kickstarted the trend of performance-oriented fully-faired motorcycles. The R15 also became a popular track tool for amateurs. It is the most expensive KTM available in the Indian market. 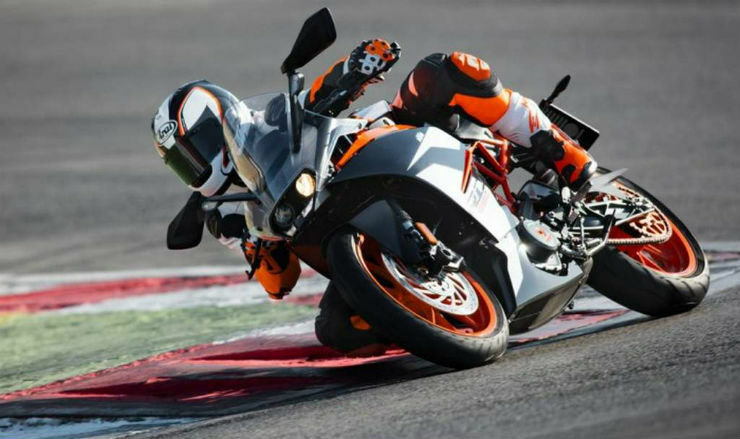 The RC 390 is a road/track fully faired bike that looks quite intimidating. The RC 390 did not get a major update like the new 390 Duke. However, it was launched with the cleaner BS IV engine. The RC 390 also offers the switchable dual channel ABS similar to that on the 390 Duke. The single-cylinder engine produces 43 Bhp – 36 Nm. The Gixxer twins became quite popular in the market because of the way they look combined with the affordable price tag. The fully faired version is called Gixxer SF and it looks quite sporty. 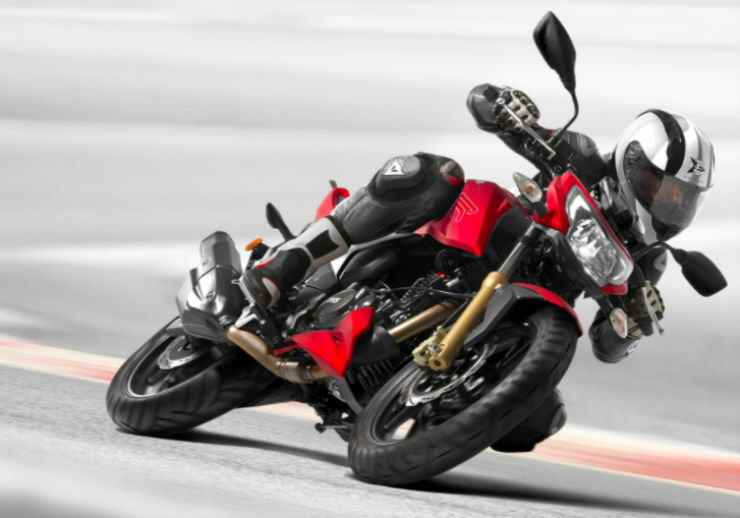 Suzuki recently launched the ABS version of the bike and It is also the only motorcycle in the 150cc segment to offer ABS in India. Suzuki uses a modified version of the Gixxer in its One Make Race series in India that gets clip-on handlebar and aftermarket exhaust among other performance parts. The Gixxer can be a very potent track tool if right parts are added to it. The newest flagship of TVS is the most powerful production Apache bike. The bike gets many advanced features like ram air, low coefficient drag, reversed incline engine and much more. 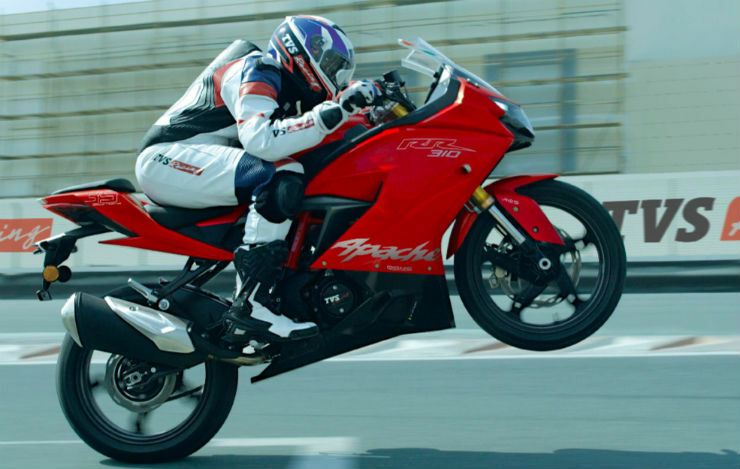 The bike is powered by a reverse inclined 312.2cc engine that produces a maximum of 34 Bhp – 27 Nm. The bike also gets lap timer, highest speed and various other track-oriented tools to aid the riders.